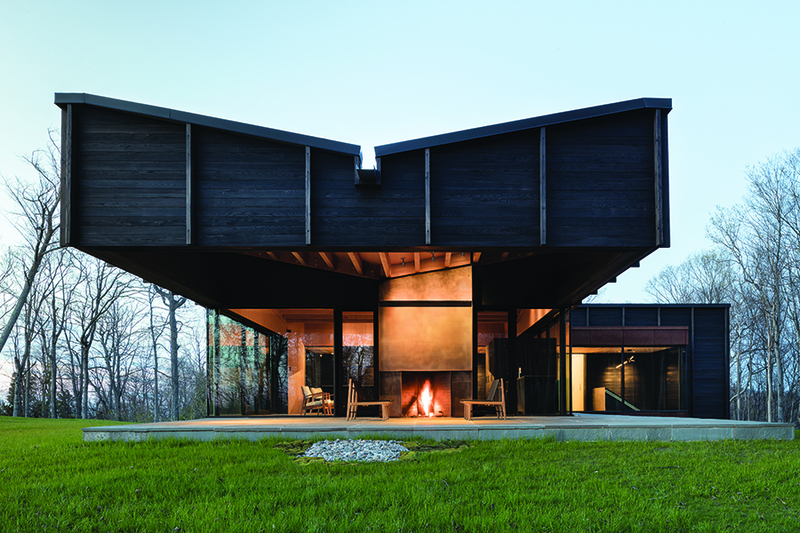 Perched on a woodland bluff overlooking Lake Michigan, this home is an assemblage of three offset structures—the “gathering” structure with a 20-foot cantilever-covered “vista” seating terrace, two “sleeping” structures, and a dining area breezeway that connects all three structures. The roofscape has gentle undulations that follow the movement of the natural terrain and make a playful reference to the vernacular architecture of nearby fishing villages. 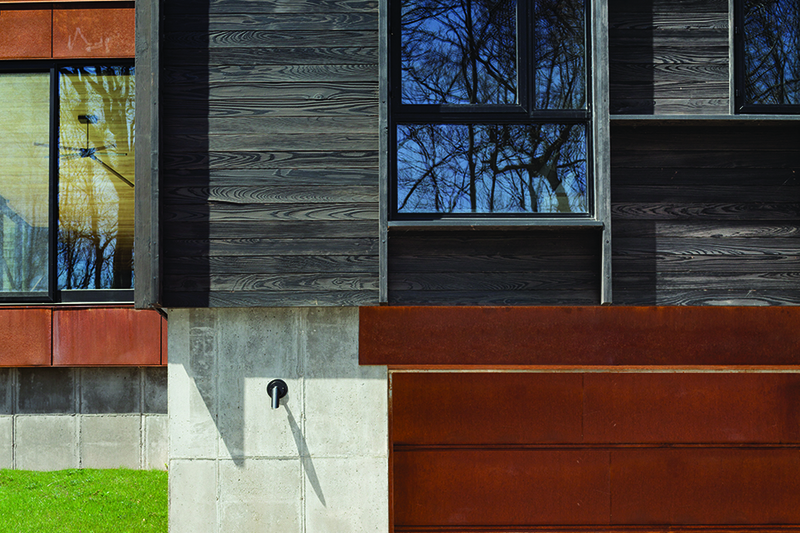 The exterior is finished in shou sugi ban, or Japanese charred wood. 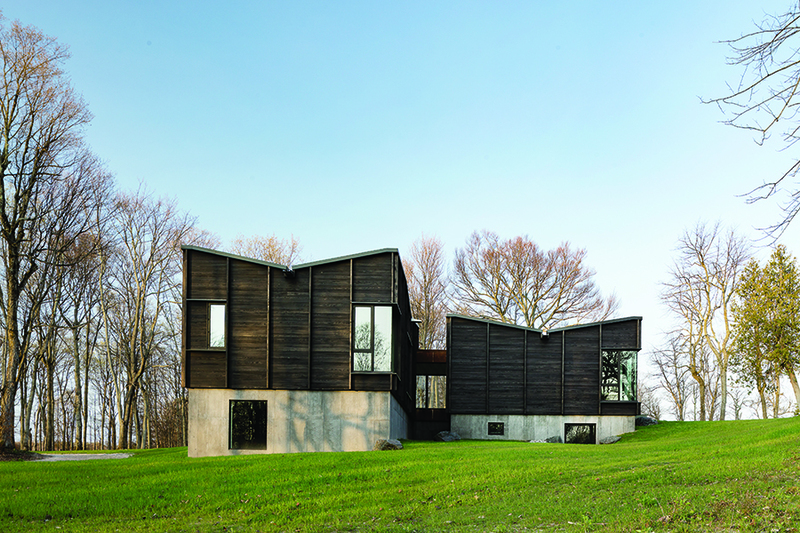 The charred texture and the modulation of deep facade members enhance the shadows across the surface as the sun rises and sets. 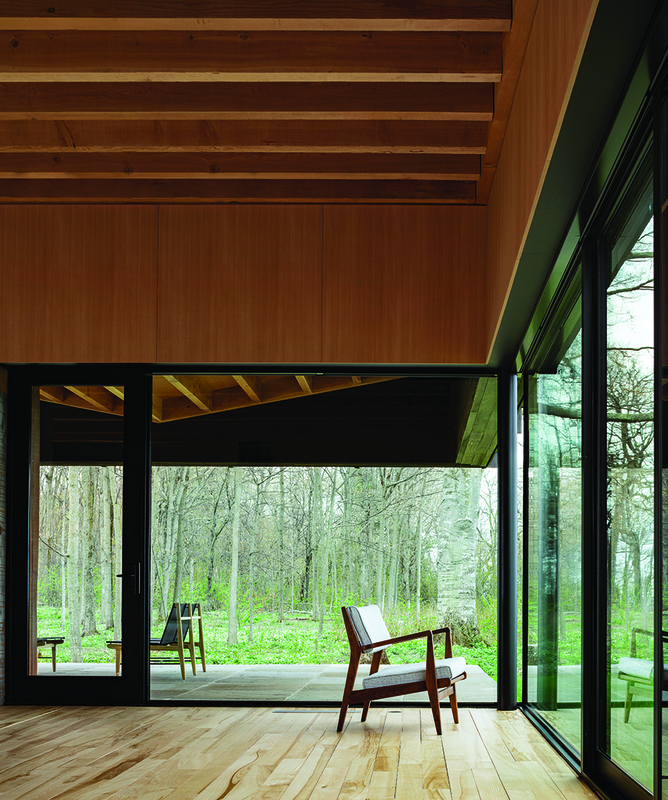 The firm also reclaimed dying ash trees from the site and milled them down to be used as interior finishes and custom furniture throughout the house—a nod to the indigenous landscape. Constant Springs Residence offers the opportunity to live simultaneously in the center of the city and in an isolated refuge. 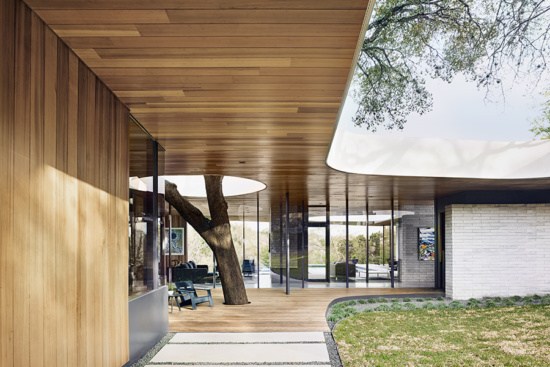 A magnificent live oak passes through the cedar ceiling, and an ipe deck permits the penetration of water. 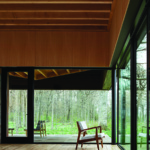 A second opening in the ceiling invites light and rain deep into the house’s core. 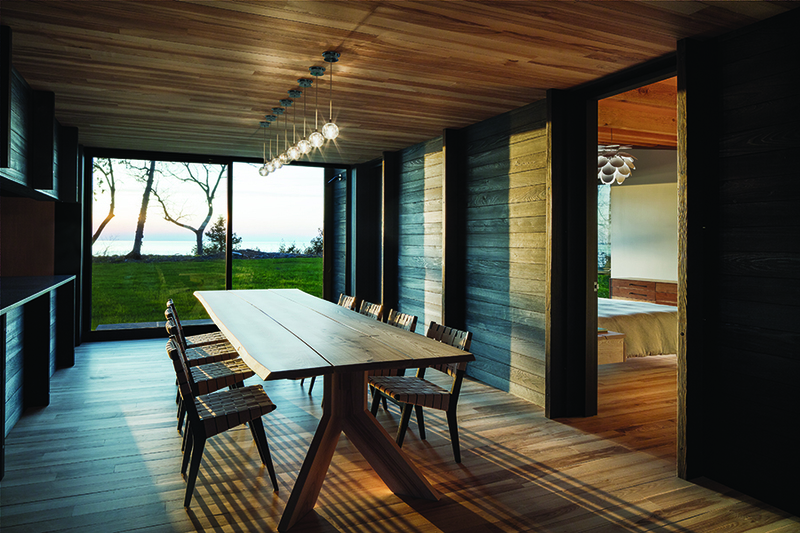 Upstate Teahouse was inspired by traditional Japanese architecture. 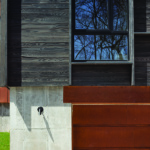 It is formed of exposed heavy timber construction, which reduces the need for interior walls and opens the plan. 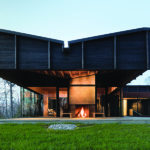 Within the open plan, variations of proportion and light produce subtle rhythmic effects—such as two large, asymmetrical skylights that break up the flat roof.